Megan Shelden poses in front of the University she studied at in Chongqing China. Summited by Megan Shelden. When deciding on a college, most teenagers focus on factors like tuition, available majors, and graduation rates. When Megan Shelden selected Concordia, she had her eye on one thing: the school’s extensive study abroad program. “I just knew, ever since I was in high school, that I really wanted to study abroad as long as I could,” Shelden said. Shelden, a senior majoring in Chinese, Global Studies, and French, was first bit by the travel bug at the age of 8 when her parents adopted a young girl from China. The second Shelden stepped off the plane to meet her sister Mia, she was hooked. Shelden returned to China at the age of 14 for the adoption of her second sister, Maci. Throughout her high school years, she went on two trips to France and one to Costa Rica. By the age of 18, she had seen more of the world than most people get to see in their entire lives— but for Shelden, it still was not enough. Since setting foot on Concordia’s campus, Shelden has centered her college career around studying abroad. As a freshman, she and her advisor planned out every class she would need to take in order to study abroad for at least one semester. That spring, she went on a May seminar to Rwanda. Now, three years later, Shelden is readjusting to American life after spending a year studying in France and China. Shelden’s adventure began last August when she arrived in Tours, France. She spent four months studying at L’Université François Rabelais, and on weekends, she took advantage of Europe’s cheap public transportation and her own spontaneity. Paris was just an hour and a half away from the University; often, if she and her friends had no plans, they would hop on a bus and spend the day walking along the Seine river, exploring the Louvre, and picnicking near the Eiffel Tower. Shelden visits the Eiffel Tower in Paris, France. Summited by Megan Shelden. The University had a 10-day break at the end of October, and two days before the end of classes, Shelden bought a cheap plane ticket to London. She found a hostel, where she shared a room with 10 people. Then she met up with a friend-of-a-friend in Wales and slept on her floor for three days. One day, the two embarked on a five-hour hike to a historic lighthouse—and Shelden ended up playing photographer in an impromptu photo shoot with a naturalist. 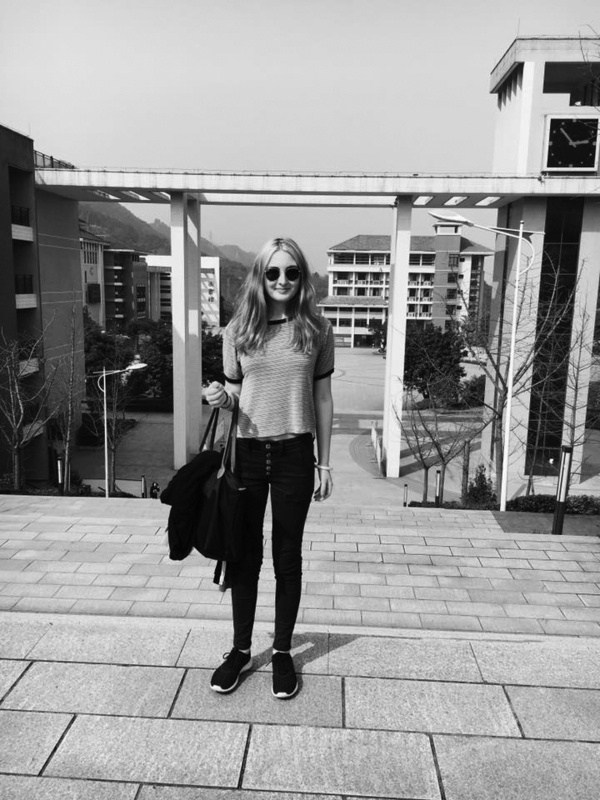 Shelden’s semester in France came to an end and, after a brief two-month break back in the States, she was off to her next destination: Chongqing, China. It was Shelden’s professor and mentor Dr. Tao Ming who convinced her to study in Chongqing. Ming, who attended Chongqing University and taught English there for four years before coming to Concordia, believes that going abroad is imperative for anyone studying a language. And Shelden did immerse herself, although it took some time. When she arrived in Chongqing, she could not communicate with the taxi drivers, who spoke a different dialect than the Mandarin she was used to. She could not use chopsticks. She could not even read menu, so she would walk into a restaurant and just point at an item at random— a dangerous thing to do in Chongqing, where the food is some of the spiciest in the world. “I took one bite, and I just was crying,” Shelden said of her first ordering mishap. 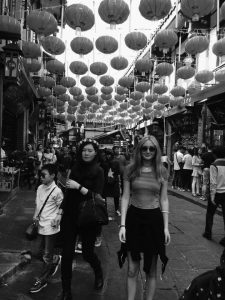 Shelden spent five months taking full-immersion speaking, grammar, listening, and reading classes, but the time she spent outside of the classroom— conversing with strangers in cafes, navigating the bustling Chongqing nightlife— proved to be even more educational. Now she’s a self-proclaimed “chopsticks pro” and an expert in public transportation. “It is really rewarding when you’re in a taxi and you can finally understand what they’re saying, and you can yell along with them when there’s a lot of traffic,” Shelden said. Shelden explores a popular market in Qianjiang, China. Summited by Megan Shelden. 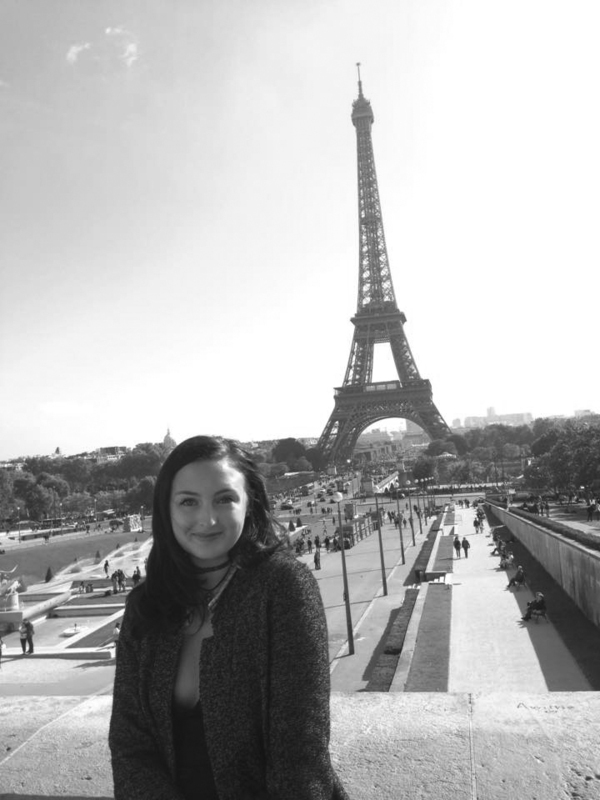 Beyond the lessons in traveling alone and the increased fluency in both French and Chinese, Shelden’s experiences abroad gave her a new outlook on tragedy. She was in Tours on the night of Nov. 13, when gunmen and suicide bombers attacked a concert hall, a stadium, and several restaurants and bars in Paris — leaving 130 people dead less than 200 miles from where she sat. When Shelden did return to Paris, the city she had roamed just weeks before was somber, quieter and heavily armed police officers patrolled the streets. But these unsettling sights, Shelden said, will not stop her from doing what she loves most. Shelden has been back in America for two months now, and she is already planning her next adventure. After graduation, she plans to move back to China (semi)permanently. Her dream is to become an interpreter or translator, and she hopes to teach English for a few years until she becomes fluent enough. But she is not ready to give up on French, either; her other dream is to move to a French-speaking country in Africa. Shelden’s may not be the easiest, or most orthodox, post-grad plan, but Ming seems to think she will be just fine.